NEWS — COLEMAN ARCHITECTS PTY. LTD. 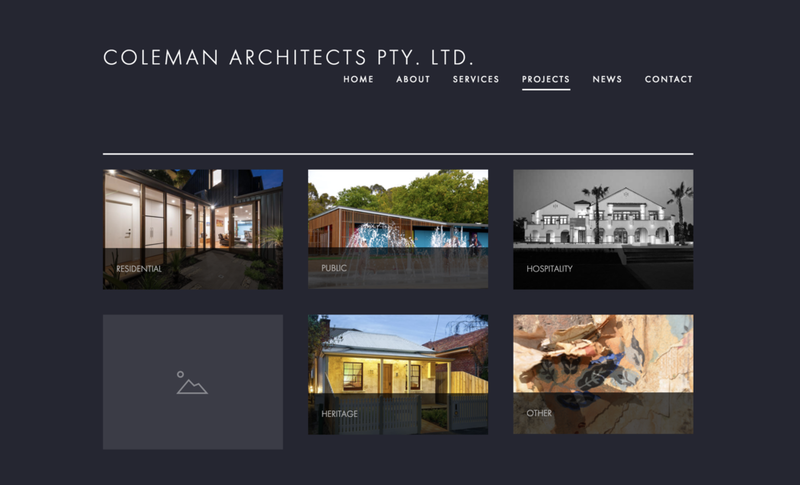 Some exciting changes are coming to Coleman Architects in the coming months, beginning with a fresh new website design! Here's some sneak peeks of the new website in progress - be sure to check back in soon to see the final outcome! The construction of the Ararat Swimming Pool Pavilion is progressing well, with completion expected in mid-February, just in time for summer's hottest days. External battens have been installed and the internal fit-out has begun. Construction was completed before Christmas and the owners have moved in. Below are some preliminary photos of the works. The Ararat Swimming Pool Pavilion is going up fast - the steel frame has been erected and the roof is on!